MrGoodfriend gets the pack to assist with magic. Did you see where it went? Did you feel something happen? Anyone see a yellow bandana? 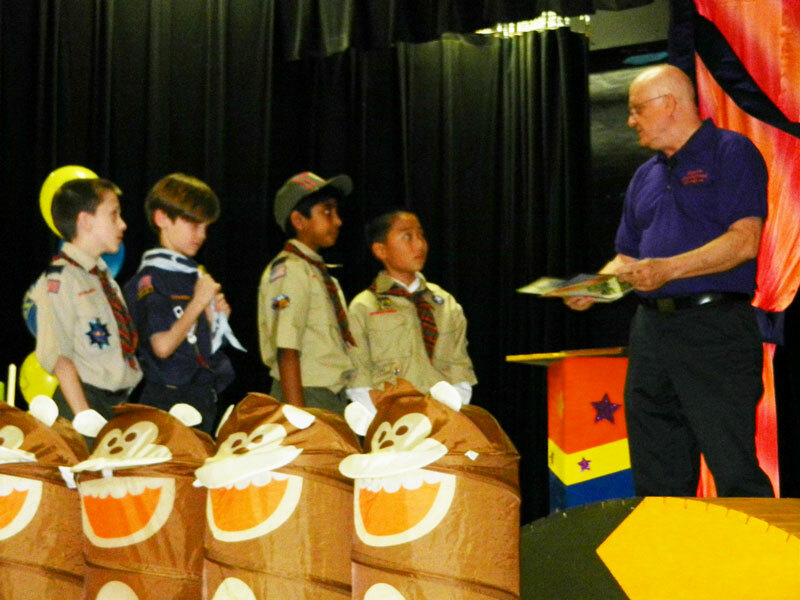 February is the month of Scouting birthday. To celebrate, most packs have an annual event call the Blue & Gold Banquet. This is a fun evening that sometimes replaces a regular meeting. 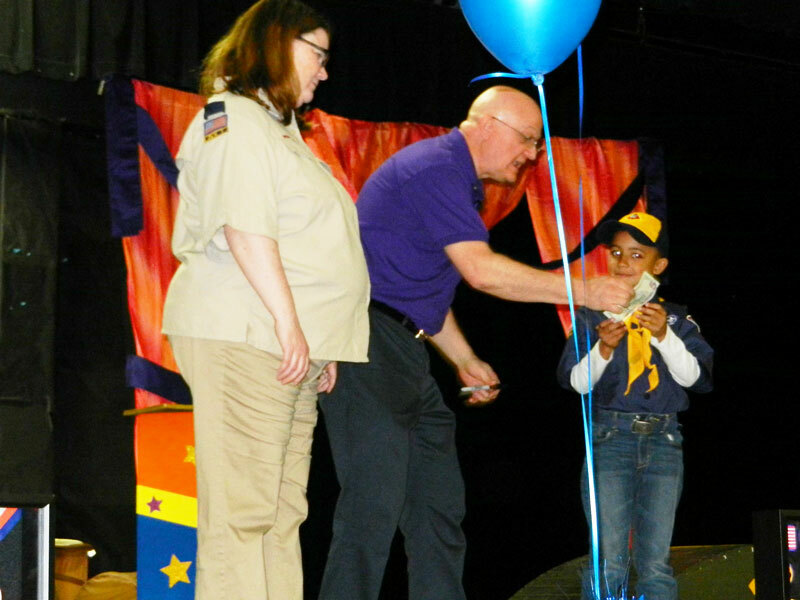 This “birthday party” brings families together to celebrate another year of Scouting and recognize the achievements of the Scouts and Pack leaders. 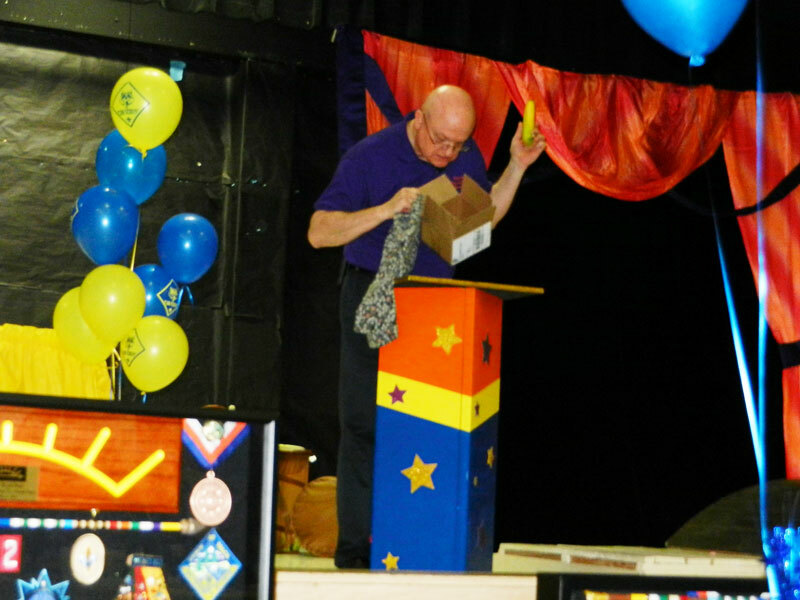 MrGoodfriend’s Magic Show is perfect for your Pack’s special celebration. The fun filled laughter and AMAZING magic gets everyone involved. 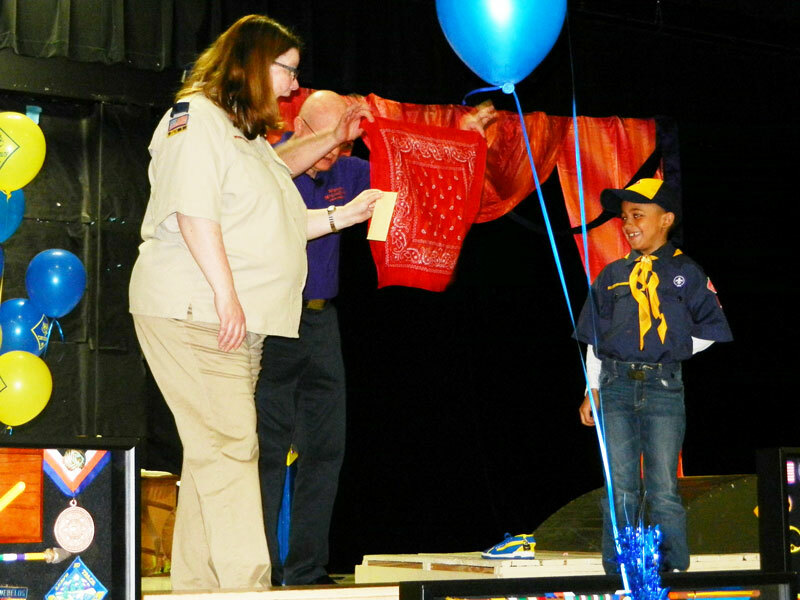 Scout Packs in Dallas have been entertained with the Blue & Gold Banquet Show of MrGoodfriend. Call today (469)342-9012 to request a quote and booking, or simply fill out our request form.